Good Morning! I hope you all had a great weekend and the kids enjoyed a fun and safe Halloween. We had a great time although it was rather strange to be out trick-or-treating in 85 degree weather. That's too hot for Halloween in my opinion. But it was fun. I have some really exciting news to share. At least this is exciting for me. 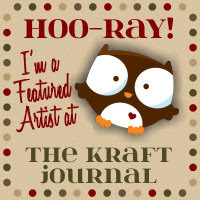 A dream came true for me - I am one of the newest Design Divas for Sweet n Sassy Stamps!! 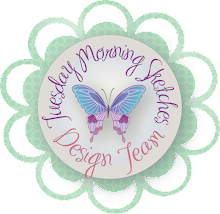 I know, I have recently had the honor of being a Guest Designer for The Sweet Stop (the challenge blog) and Sweet n Sassy Digis blog - but now I am a Design Diva!! 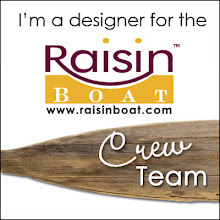 Ever since discovering SNSS, I have dreamt of being on the team. Thank you Korin for giving me this gift. And it's the beginning of a brand new month which means new releases. Now many of us have Cup of Cocoa in our digi collection, but it's being released in a wonderful stamp set. The set features the sweet Cocoa and 4 wonderful sentiments. I created this card using the inspiration from Cute Card Thursday's challenge called So Transparent. The middle of the card is a transparency and I am so happy with how this card turned out! Here's the inside of the card. My son is so proud of me that the inside is decorated. 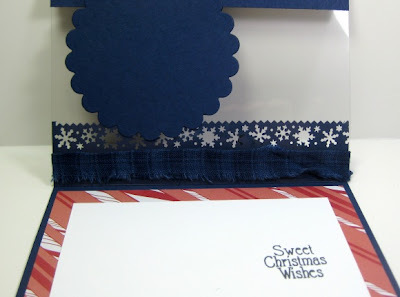 Of course with this type of card, you kinda have to do some inside decoration. Just another shot so you can see the clear part of the card. 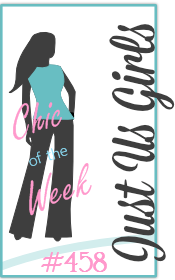 Also, did you see the badge about the blog hop? Sweet n Sassy Stamps is turning 3! So mark your calendars and come join the fun! Have a super great day and thank you so much for stopping by! Great news Mel! 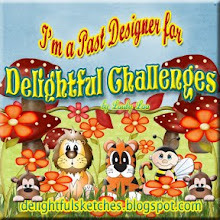 It will be so great to see you on the Design Divas. I can't wait to see your cards. I'm loving your cocoa card! Super cute. Congrats!! That is so exciting especially when it is something you have wanted. 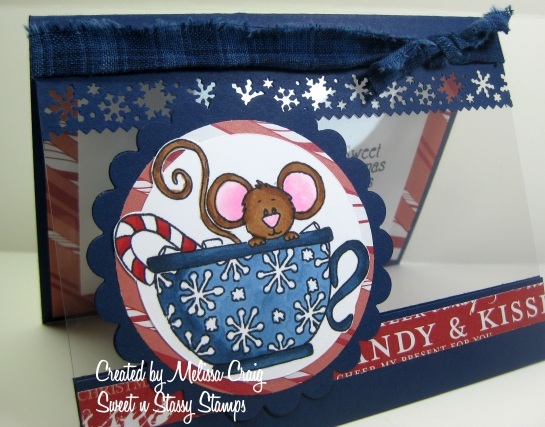 Your card is so adorable, love the image and how you have it clear on the front. Fabulous and super exciting news...Congrats!! 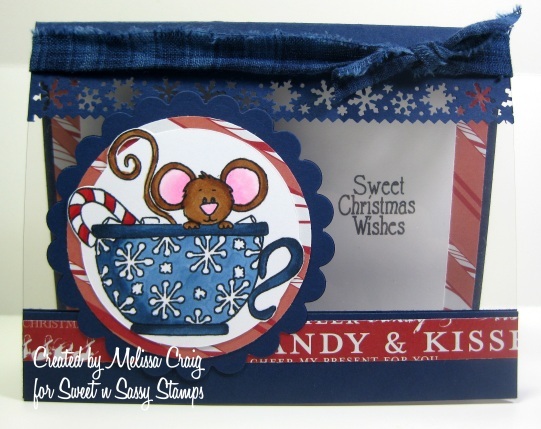 Mel, your card is adorable and I love the clear base! !